Scott Brown and Joe Biden had lunch Wednesday at the White House. Washington (CNN) – The man who spent nearly four decades in the U.S. Senate hosted the chamber's newest member on Wednesday. 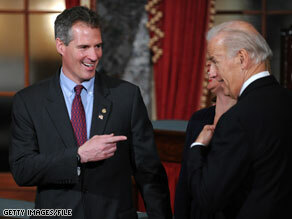 Vice President Joe Biden treated Republican Scott Brown of Massachusetts for a lunch at the White House. "Scott Brown is grateful for the opportunity to have lunch with the vice president. Senator Brown spoke about the importance of turning the nation's attention to jobs, and that Americans want their government to have a focused attention on the economy," Brown communications director Gail Gitcho told CNN. Treasury Secretary Tim Geithner said Wednesday that China's undervalued currency makes the nation dependent on U.S. monetary policy. Washington (CNNMoney.com) - In what may be the bluntest assessment by a high-ranking White House official of China's exchange rate policy, Treasury Secretary Tim Geithner said Wednesday that China's undervalued currency makes the nation dependent on U.S. monetary policy. 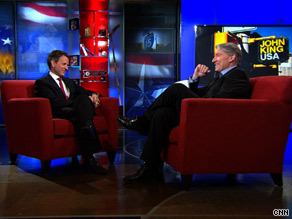 "I think China will be better; they're stronger as an independent country if they're not running an exchange rate policy that, essentially, has the Federal Reserve of the United States setting monetary policy in China," Geithner told CNN's John King in an interview taped for "John King, USA." The interview will air at 7 p.m. ET. Geithner added that he believes that over time the Chinese will appreciate their currency. "I think many of them understand and they'll come to decide that it's in their interest, as they move," Geithner said. "I think it's quite likely they move over time." For more, watch and read the full story. 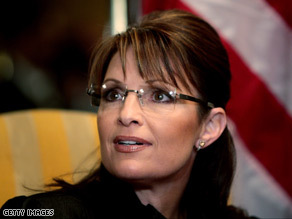 Sarah Palin has inked a television deal, People Magazine reports. (CNN) – Sarah Palin is branching out beyond politics, striking a deal with the Discovery Channel for a program spotlighting her home state of Alaska, People Magazine reports. According to People, a source with the cable network says the former Alaska governor and Discovery have finally struck a deal after weeks of negotiations that involved several networks. A source told CNN earlier this month that Palin had been pitching a show that would be a "Planet Earth-style" documentary about Alaska. The Palin source also told CNN of the proposed show: "It's not going to be focused on her family, or in her house, or in Wasilla." Variety reported Tuesday the show is expected to be called "Sarah Palin's Alaska" and the former Republican vice presidential nominee will likely nab $1 million an episode. Representatives of the Discovery Channel would not confirm the reports to CNN. 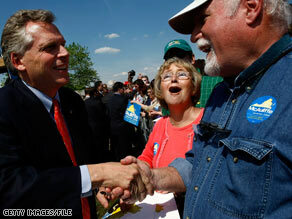 Terry McAuliffe ran for governor of Virginia in 2009 and could do so again in 2013. Washington (CNN) - Terry McAuliffe, the former Democratic National Committee chairman who sought the Virginia governorship last year and could do so again in 2013, has some choice words for Gov. Bob McDonnell and Attorney General Ken Cuccinelli when it comes to health care reform. McDonnell signed a bill Wednesday to bar the federal government from forcing state residents to purchase health insurance. Cuccinelli has filed a lawsuit against the Obama administration arguing that the health care bill's mandate that individuals purchase insurance violates Virginia law. Both Republicans, McAuliffe told CNN, "are playing a divisive game of politics that hurts Virginia families and clearly hurts and affects the health care of millions of Virginians." "This is all bogus," he said in a phone interview. "It's nothing more than pure politics. These lawsuits will not be successful. This is more about playing to their own political base." McAuliffe predicted that voters will warm to health care reform now that a single piece of legislation has been signed into law and the benefits can be clearly explained. Health care reform, he said, will provide prescription drug coverage to millions of seniors, cut the federal deficit and give tax credits to small businesses in Virginia. The law will "turbo-charge the economy," he added. "This bill will literally benefit millions and millions of Virginians, and here we have the governor and the attorney general of Virginia filing a frivolous lawsuit," he said. "It's crazy." Marco Rubio's new ad reminds Republicans of Gov. Charlie Crist's support for President Obama's stimulus package. (CNN) - Marco Rubio is happy to fight fire with fire. The Florida Senate candidate will launch a pair of 15-second TV commercials Thursday pushing back at a new attack ad from primary rival Charlie Crist, a Rubio source told CNN. 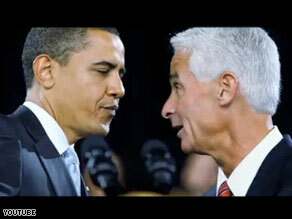 Crist's new ad claims Rubio isn't as conservative as he portrays himself. Rubio is now responding with two short ads that will bracket Crist's commercial "during the same time slots or programming whenever possible," the source said. The ads cite a recent Associated Press story that described Crist's attacks during the race as untrue, out of context and "over the top." But perhaps the most cutting part of Rubio's counterpunch is the payoff. At the end of both spots, viewers are shown the now-infamous image of Crist and President Obama appearing together at a rally for the stimulus package in Fort Myers last year, as rowdy chants of "Yes We Can!" are heard in the background. Crist's support for the stimulus, of course, has cost him precious support among conservatives. Watch Rubio's ads here and here. Washington (CNN) - House Democrats are concerned about their security due to increased threats since Sunday's vote to pass the health care bill, House Majority Leader Steny Hoyer said Wednesday. Hoyer told a news conference that "a significant number, meaning over 10," had reported either threats, vandalism or other incidents.Capitol police officials have briefed House Democrats on reporting suspicious or threatening activity and taking precautions to avoid "subjecting themselves or their families to physical harm," said Hoyer, D-Maryland. Earlier Wednesday, the Albemarle County Fire Marshal's Office in Virginia confirmed the FBI was investigating a suspicious incident at the home of Virginia Democratic Rep. Tom Perriello's brother, days after the brother's home address was posted online by a Tea Party activist. An aide to Perriello told CNN that a line to the propane tank on his brother's gas grill had been severed. Washington (CNN) – Florida Gov. Charlie Crist, trailing in the Florida Republican Senate primary against Marco Rubio, debuted his first television ad of the campaign. Not surprisingly, it's a negative one. Hoping to tarnish Marco Rubio's image as a fiscally conservative warrior, Crist uses the ad to go right after his GOP rival over a series of unflattering news reports detailing Rubio's questionable spending habits while he served in the Florida state House. "We thought he was different," an ominous-sounding female voice narrates in the 30-second commercial. "Ideologically pure. Marco Rubio shot to national stardom. Called 'The Republican Obama.' Now, comes the truth." "Rubio used Republican political donations on his lavish lifestyle," the narrator continues. "Then, failed to properly disclose it, violating the law. Marco Rubio, how disappointing." Crist's campaign called the ad buy "significant," but would not reveal more details about its television strategy. (CNN) - Virginia Gov. Bob McDonnell on Wednesday signed legislation to bar the federal government from forcing state residents to purchase health insurance. Rep. Stephanie Herseth Sandlin will be challenged in the Democratic primary. Washington (CNN) – A South Dakota doctor will challenge Rep. Stephanie Herseth Sandlin in the Democratic primary, a close friend tells CNN. Herseth Sandlin had avoided a primary challenge when former Obama campaign official Steve Hildebrand decided not to run against her, which he said he seriously considered because of her vote against the Democratic health care reform bill. 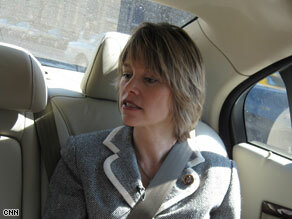 She was one of 34 House Democrats who voted against the legislation on Sunday. Hildebrand, in an email to allies this afternoon, will now endorse Kevin Weiland, a doctor from Rapid City. 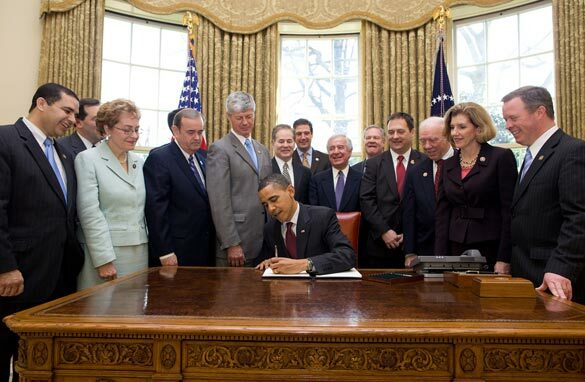 Michigan Democrat Rep. Bart Stupak and other 12 other House Democrats joined President Obama Wednesday for the signing of an executive order about abortion funding. Washington (CNN) - President Barack Obama signed an executive order Wednesday ensuring that existing limits on the federal funding of abortion remain in place under the new health care reform law. Unlike the signing of the health care bill Tuesday - which was conducted under the glare of television cameras - Wednesday's event was closed to the news media.